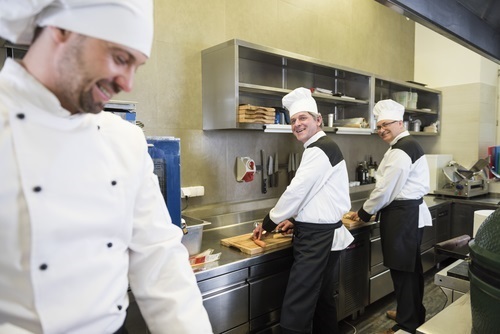 Typically, restaurant kitchens are equipped with a grease trap to catch any oils and fats that slip down their drains to keep it out of the local sewer system. The buildup must be emptied periodically to avoid a range of potential hazards. If you own a venue, here are a few reasons why regular grease trap cleaning is so necessary to keep your premises sanitary and safe. Grease is one of the most flammable substances in your kitchen—so if there’s a large enough reserve, you’re putting yourself at risk of a fire. The more fats and oils you use for cooking, the more often you’ll need grease trap cleaning to minimize the threat. If your grease trap overflows, you’ll end up with fat in your plumbing—and because it hardens as it cools, it’s likely to congeal and create clogs. By hiring a septic service to empty the part, you protect yourself from potentially serious problems with your pipes. Many locales charge businesses if they detect oil and fat being dumped into the sewer system. By effectively trapping your grease and having it removed on a regular basis, you can avoid these fines. As grease builds up in your kitchen, it can create unpleasant odors and attract vermin—conditions you don’t want customers or health inspectors to witness. By emptying the grease trap, you help keep your kitchen clean and sanitary. If you’re overdue for grease trap cleaning, turn to Great Bear Septic Service in Putnam County, NY. Backed by over 30 years of experience, their top-quality work will prevent a range of problems that could cost you money and business and will promote a safe and clean kitchen. To get in touch, call (845) 621-0250 and schedule an appointment today. If you’d like to learn more about where and how they can assist, visit them online.